My art has taken me down many different paths. Early in my career I often spent time sketching and painting in the Rocky Mountains of British Columbia. I furthered my interest in colour and composition taking Fashion and Design in college and later, enrolled in Fine Arts at the University of Edmonton, Alberta. My recent inspiration comes from a road trip to Western Canada. Visiting the Maritimes, Algonquin Park, Gatineau Hills, and the Laurentians continues to influenced my work. I am presently working primarily with acrylics. Layers of paint and glazes are evident to capture the depth of my subject matter and loose mark making, strong shapes and shadows are apparent. I often work on several paintings at once when developing a new series. I continually strive to develop a painted language to capture the fleeting essence of nature’s behavior and my objective is to pass this on to the viewer. Catherine E. Schissel is a landscape artist best known for her portrayal of Canada’s woodlands. Recently, seascapes and coastal scenes have also become strong subject matter. She began her career as an artist when she was living in the East Kootenay region of British Columbia where she was raised. She acquired a love for prairie landscapes while living on a farm in Alberta. Before moving to Ontario, Catherine exhibited in galleries, solo shows and group exhibits in Alberta and British Columbia. An avid hiker and photographer, her art is inspired by places she has travelled and spent some time time exploring. 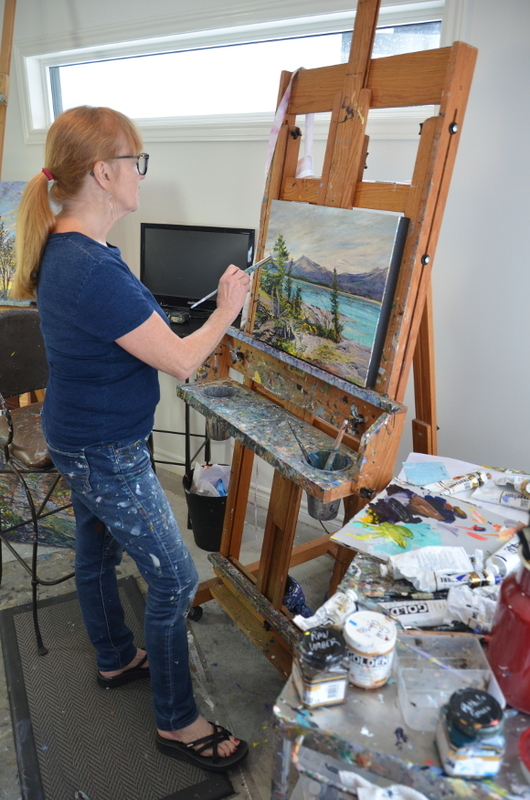 She often sketches on location and the pieces come to life in her studio environment. Open studios and international travel to attend workshops covering a wide range of visual art disciplines continues to have an impact on her work. Her work is in private and corporate collections across Canada, the U.S., and Europe. She now lives and maintains a studio in Stittsville, Ontario. Nepean Fine Arts League 50th Anniversary Spring Show and Sale, March 2014, “On the Edge” Best in Show.